Scroll through a list of the latest incredible scientific discoveries and you might find an unexpected commonality—Boulder, Colorado. Once a Wild West city tucked where the Rocky Mountains meet the Great Plains, it is now home to some of the biggest names in science. Research centers, including the National Center for Atmospheric Research, National Institute of Standards and Technology, and the National Oceanic and Atmospheric Administration, are based there, while IBM, Lockheed Martin, and Ball Aerospace would come to reside alongside a dynamic start-up community. 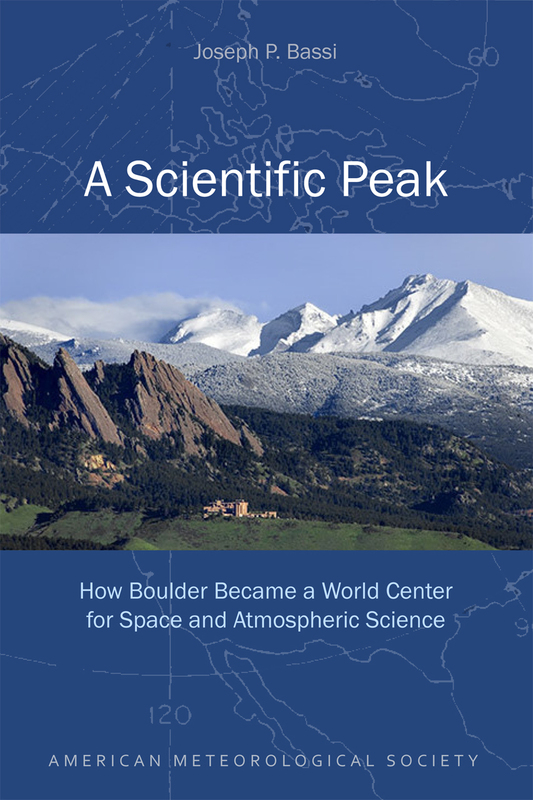 A Scientific Peak chronicles Boulder’s meteoric rise to eventually become “America’s Smartest City” and a leader in space and atmospheric sciences. In just two decades following World War II, a tenacious group of researchers, supported by groups from local citizenry to the State of Colorado, managed to convince the US government and some of the world’s scientific pioneers to make Boulder a center of the new space age. Joseph P. Bassi introduces us to the characters, from citizens to scientists, and the mix of politics, passion, and sheer luck at the start of Boulder’s transformation from “Scientific Siberia” to the research mecca it is today. "Goes beyond a simply recounting of history to explore how the changing world of sponsorship and funding contributed to Boulder's development as a scientific mecca and arguing that local citizens were as responsible as Uncle Sam."